Most of us would like to think that doctors and health care providers are faultless; however, they are human and sometimes they are capable of making mistakes; however, not all of their mistakes can be considered negligent. If other medical professionals would have taken the same action during similar circumstances, their actions would not be considered negligent. Each time a doctor or health care provider makes a decision to treat a patient, they should take into account all of the circumstances surrounding an individual’s treatment. When they act or fail to act in ways that do not maintain the level of expertise that is normally required by medical professionals, the action or inaction could be negligent. Acting as your peers would in any medical situation is considered upholding the industry’s accepted standard of care. 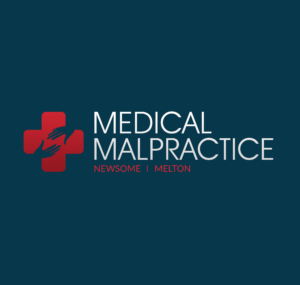 When the time comes to visit a medical malpractice lawyer, it is extremely important that all of the documentation that has been collected in association with the experience be brought to the meeting. Additionally, it should be understood that the lawyer may ask for further documentation concerning the experience. Do not be concerned with the documents that were signed while at the hospital prior to treatment. Hospitals cannot negate liability when negligence has occurred. Patients are entitled to assume a certain standard of care, and that standard cannot be waived. Medical malpractice lawyers will generally ask their clients several questions concerning their experience. This will certainly include the description of the events prior to treatment by doctors and the medical staff at the hospital. Recalling the events directly after the treatment, as well as the hours that followed the treatment will be necessary. The attorney will also go through the lengthy procedures necessary to procure a full report of the case. During the consultation, the lawyer will listen to the story and the circumstances surrounding the experience, along with taking notes during the meeting. It will be necessary to sign release forms which will allow the lawyer access to medical records. The lawyer will decide if the circumstance surrounding the experience satisfies the elements usually required to file a medical malpractice claim. The doctor had a duty to care for the patient. The doctor did not act in the patient’s best interests. The doctor’s act or failure to act caused the patient harm or an adverse situation that resulted in physical or mental loss.